San Diego, CA – In an ever increasing waste of federal funds to circumvent state medical marijuana laws, last month US Attorney Laura Duffy fired off this threatening letter to City of Del Mar employees. In response late last week the American Civil Liberties Union of San Diego & Imperial Counties (ACLU) posted an article on their blog titled; “U.S. Attorney Shouldn’t Be Threatening to Prosecute City Employees” and fired fired this letter back to the US Attorney. Duffy’s intensified war against the civil liberties of sick and dying patients caught the attention of ACLU Legal Director, David Loy, after the director received an email blast and supporting materials from San Diego ASA detailing Duffy’s attempts to threaten lawmakers with federal prosecution for adopting ordinances that regulate dispensaries. Just last week the Imperial Beach city staff used Duffy’s threatening letter in it’s staff report as a reason for the city council to to vote down it’s own competing ordinance which would have allowed for one (1) county regulated dispensary to operate in the city. “While the federal government may enforce federal law, it has no business attempting to interfere with local legislative decisions,” said Legal Director Loy. In further support of her threatening letter, Duffy sent DEA Acting Special Agent Patrick Kelly to politely threaten the Del Mar City Council at the city’s voter initiative public meeting. The ACLU letter argues that compliance with the ordinance cannot legitimately expose city employees to liability under the Controlled Substance Act (CSA). The courts have expressly rejected the notion that employees are subject to any aiding and abetting or conspiracy theory on which the threatened liability could be based. Because of this legal precedent, the mere act of issuing a permit in compliance with the ordinance would not make Del Mar city employees vulnerable to prosecution. Representatives of the ACLU are seeking to meet with the U.S. Attorney to discuss the serious issues raised by this case. Medical marijuana patients and laws have benefited greatly from the ACLU’s efforts locally to protect civil liberties from the prohibitionists. From the 2005 San Diego County lawsuit against the State’s Medical Marijuana ID Card Program, to the County’s 2010 attempt to ban dispensaries, to the current threats by the US Attorney, the local ACLU continues to work to protect the rights of patients and providers. At the federal level, the ACLU is poised to reengage the US Government’s scientifically untenable position that cannabis has no medicinal value. In a letter sent to Attorney General Eric Holder, the ACLU calls on Holder to make clear that the DOJ will not prosecute people complying with state medical marijuana laws. 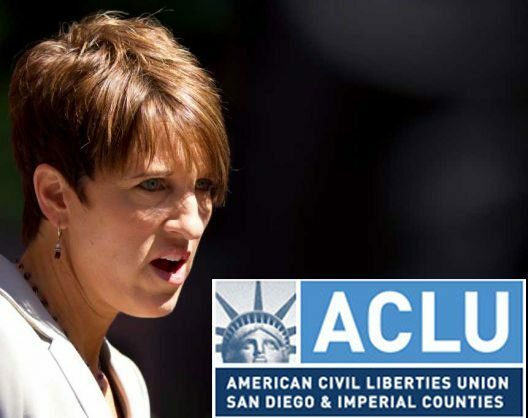 San Diego Americans for Safe Access sincerely appreciates the efforts of the local ACLU and we applaud their diligence in protecting our rights. Editor: For links to more background material, please go to the original here. It’s about time our government recognized that a lot of Americans like to get high on something other than alcohol. If our legislators really cared about keeping people safe then they would legalize every recreational drug that’s safer than booze. That would retain alcohol as the most harmful recreational drug legally available while at the same time give people the right to legally choose safer alternatives to alcohol. If the government really cared about keeping children safe then why is it bending over backwards to make them unsafe?